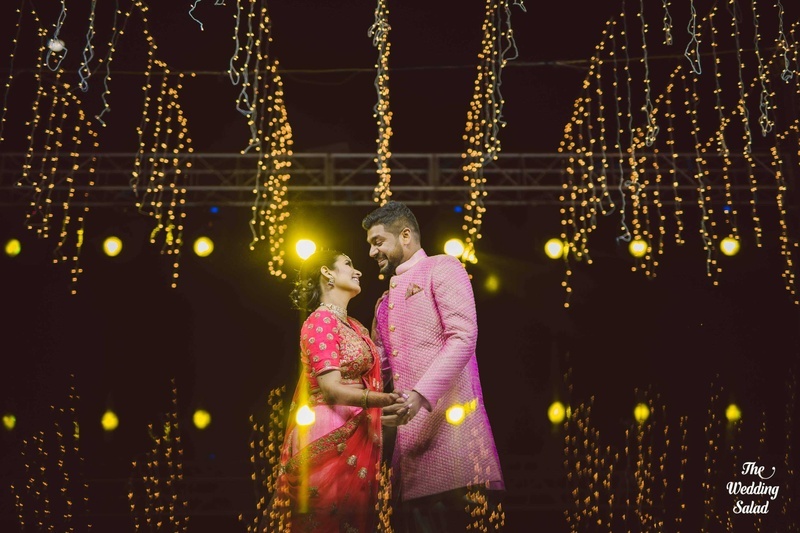 Karthik and Arushi, just got hitched in the most serene and beautiful wedding at ITC WelcomeHotel, Khimsar! 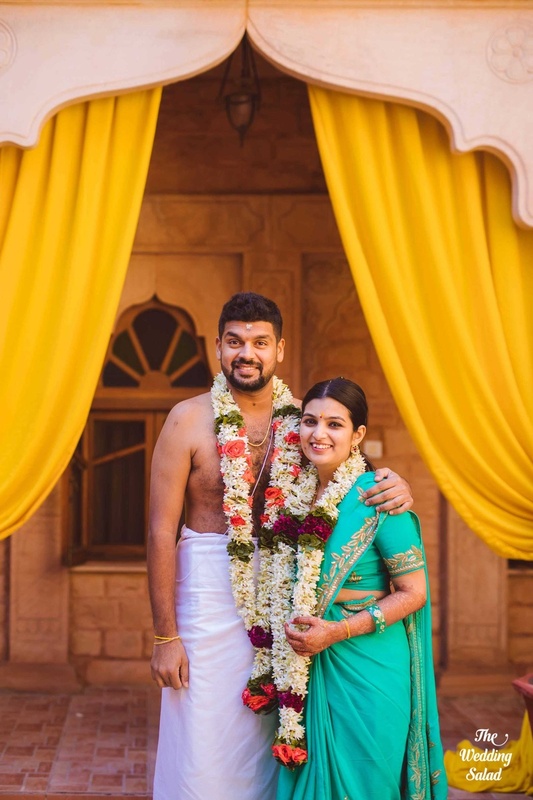 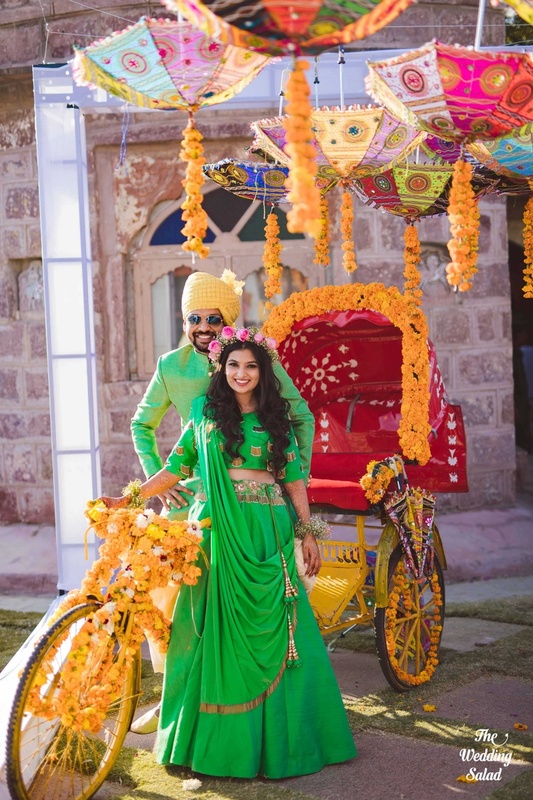 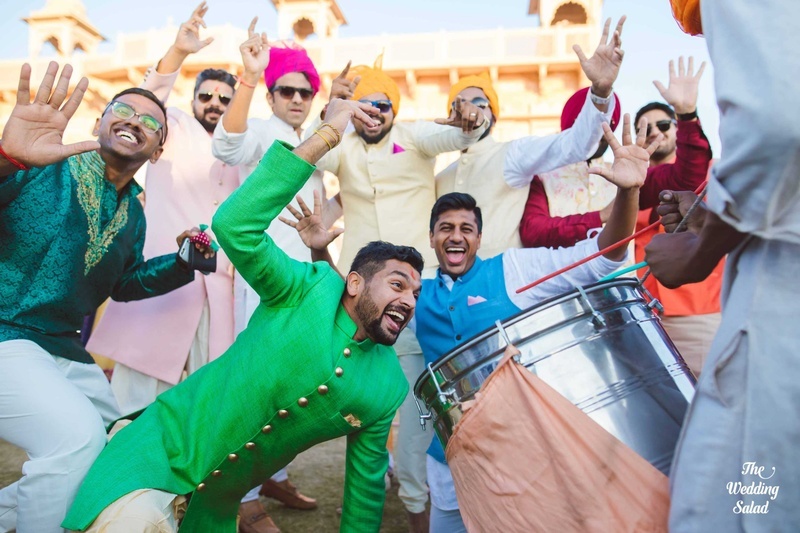 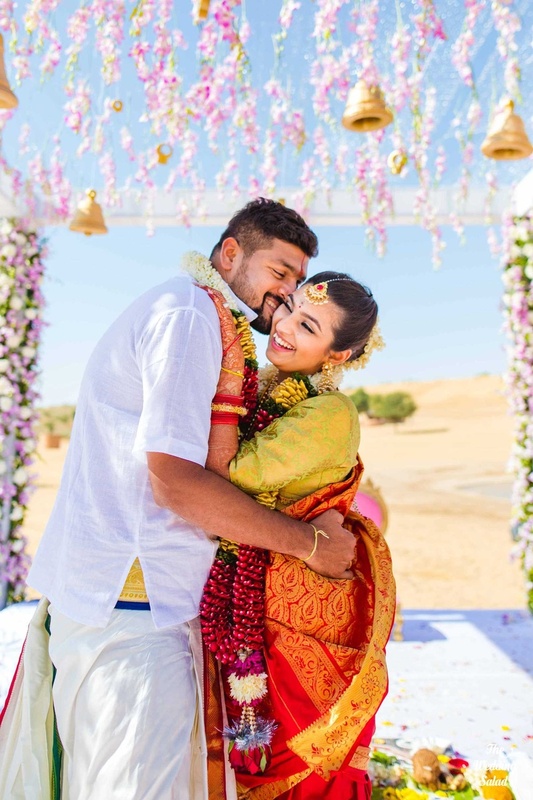 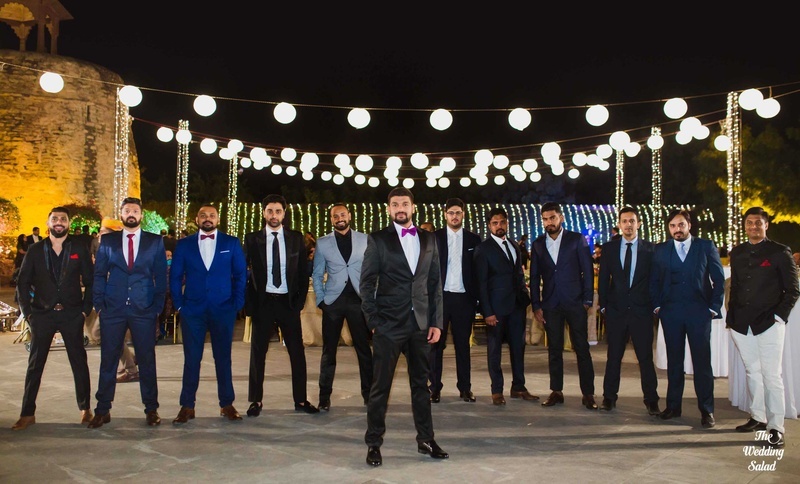 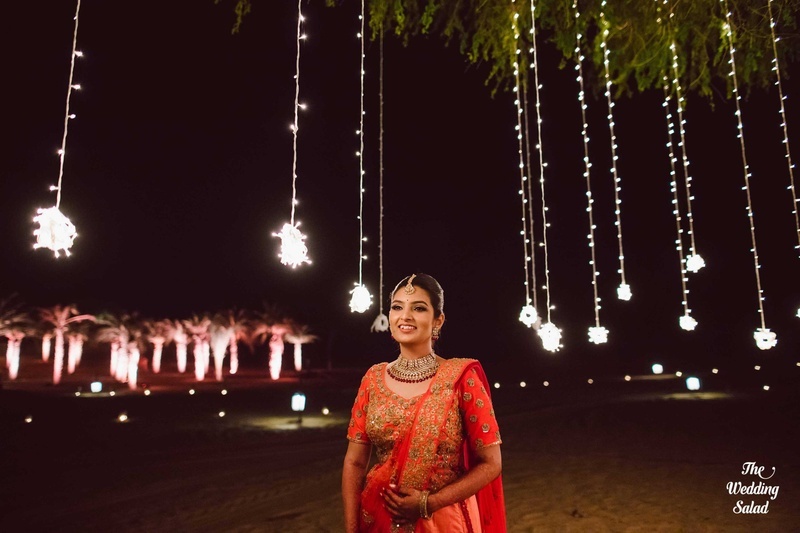 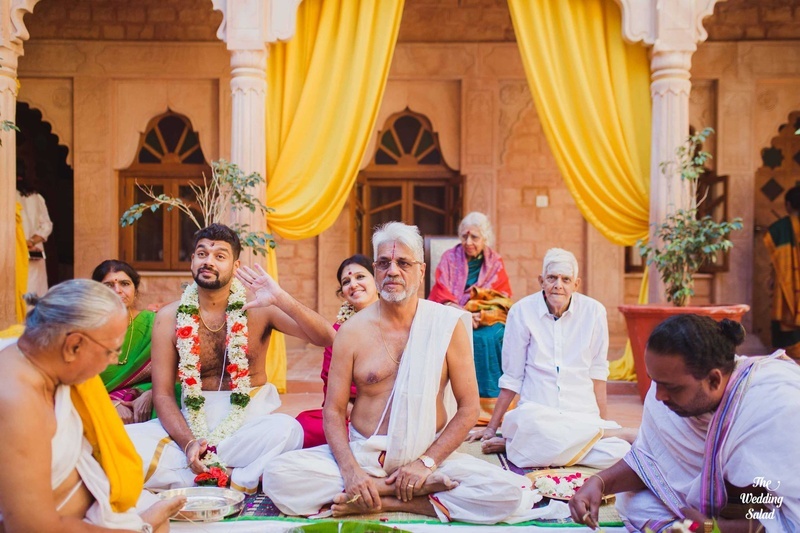 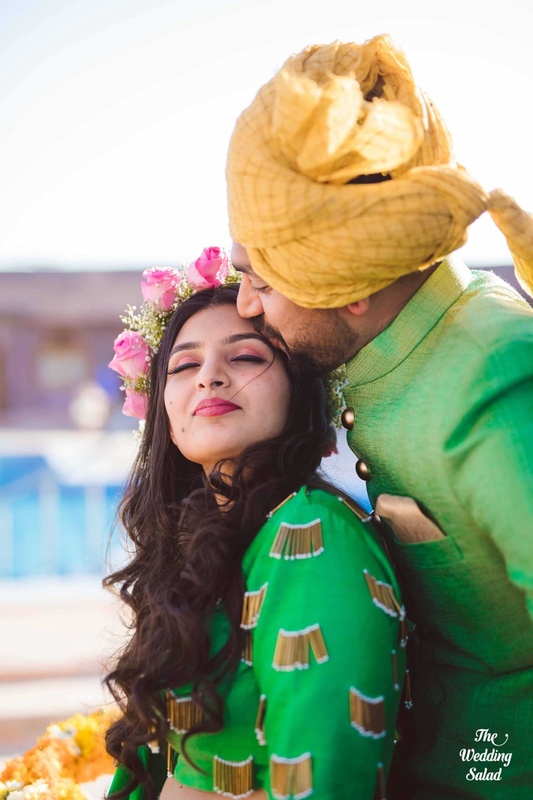 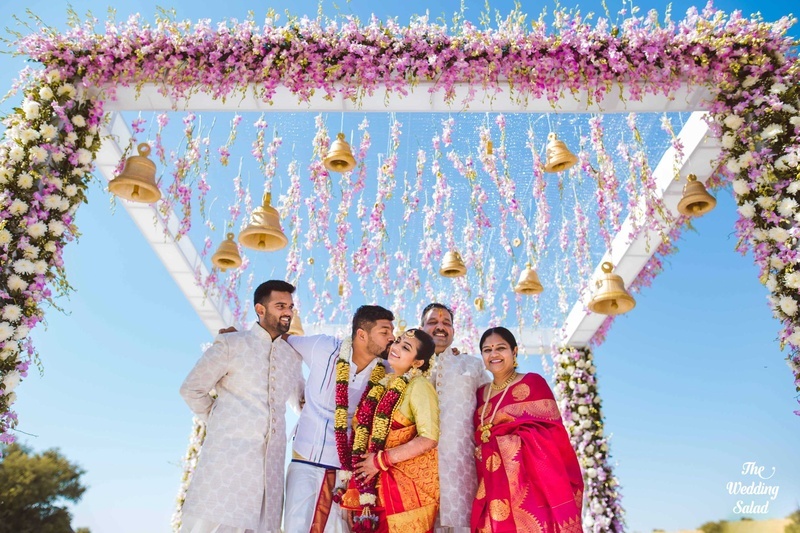 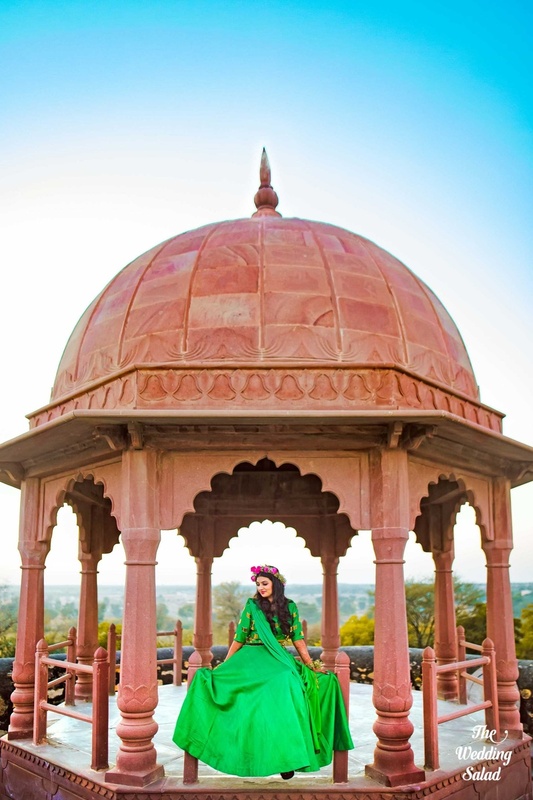 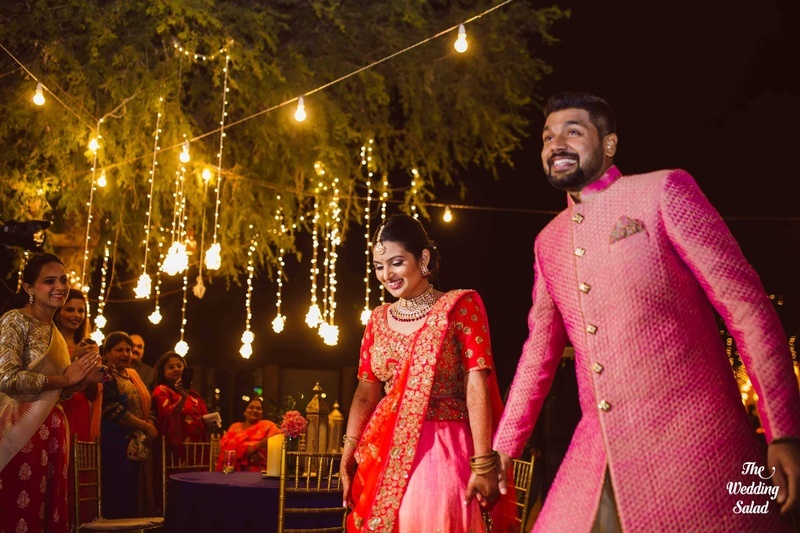 From the bride opting for south indian style attires throughout to the quirkiest groom ever, this wedding has been full of style inspiration right from the beginning. 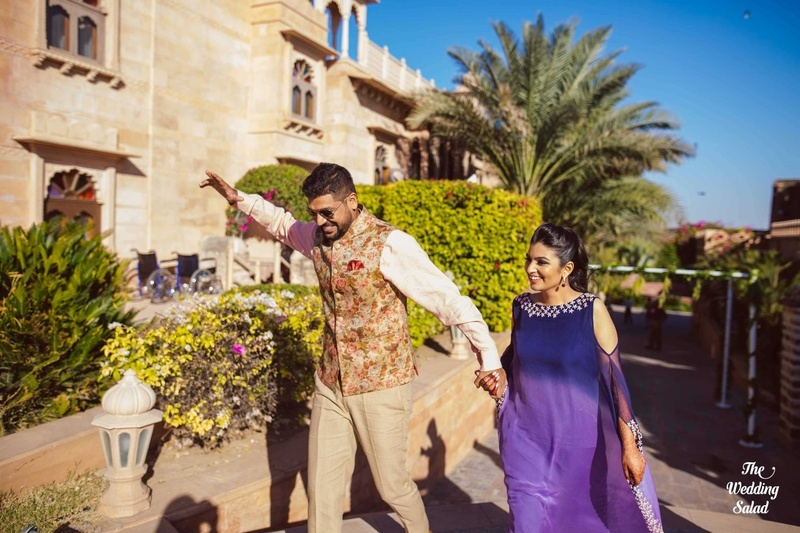 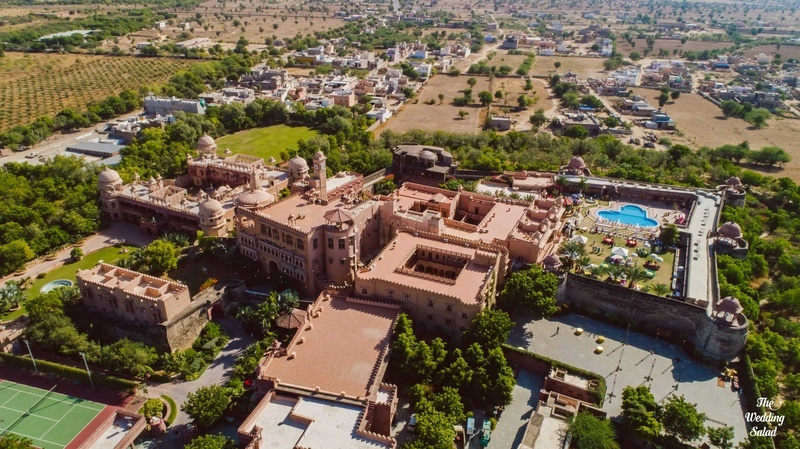 Choosing the offbeat destination of Khimsar, the couple picked ITC WelcomHotel for it's proximity to the middle of the Thar Desert. 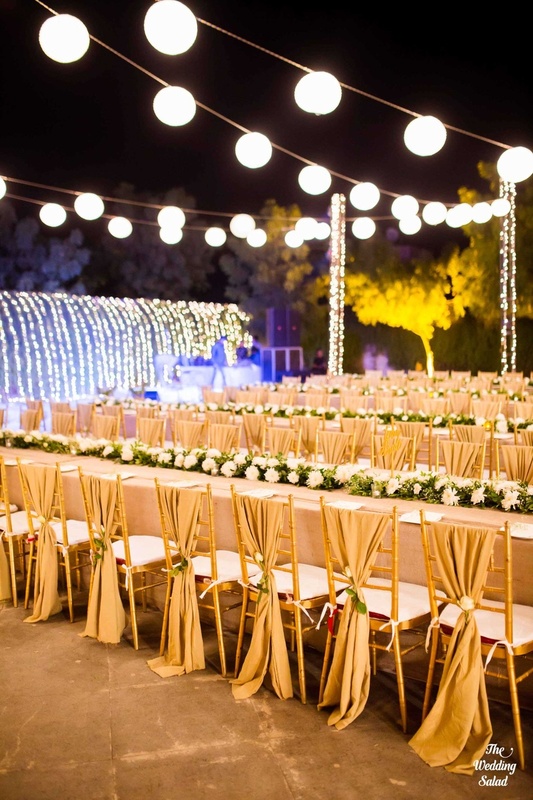 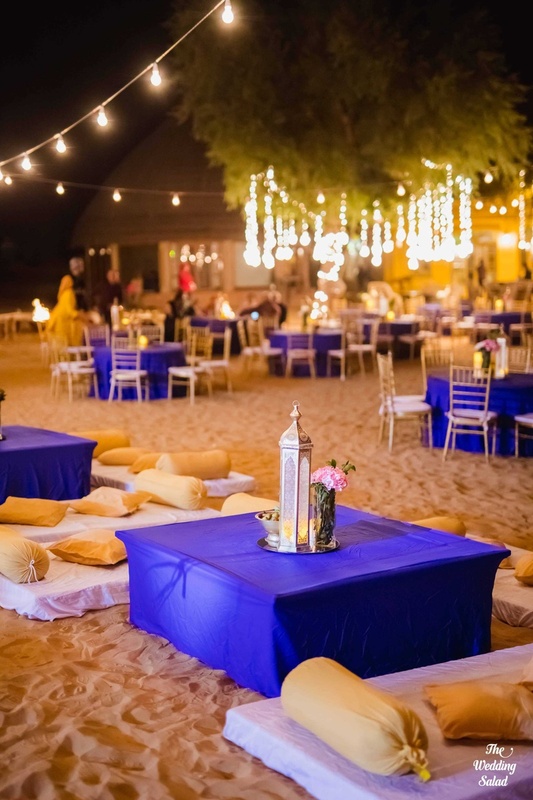 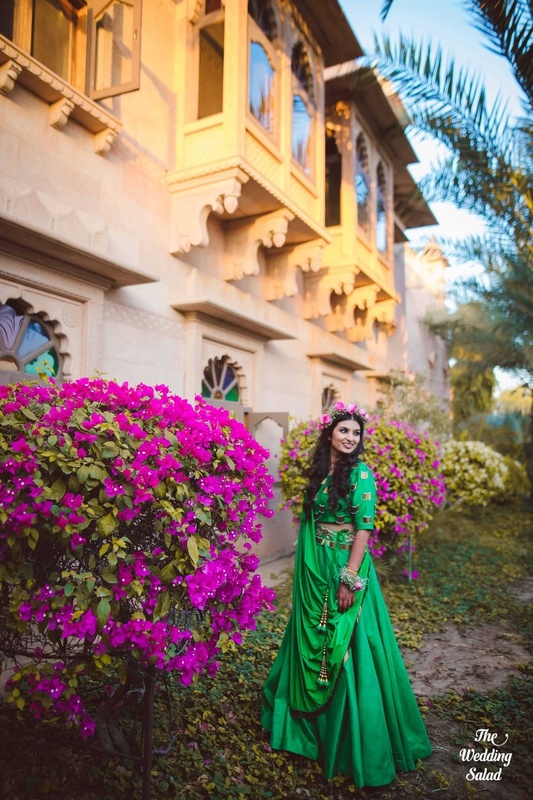 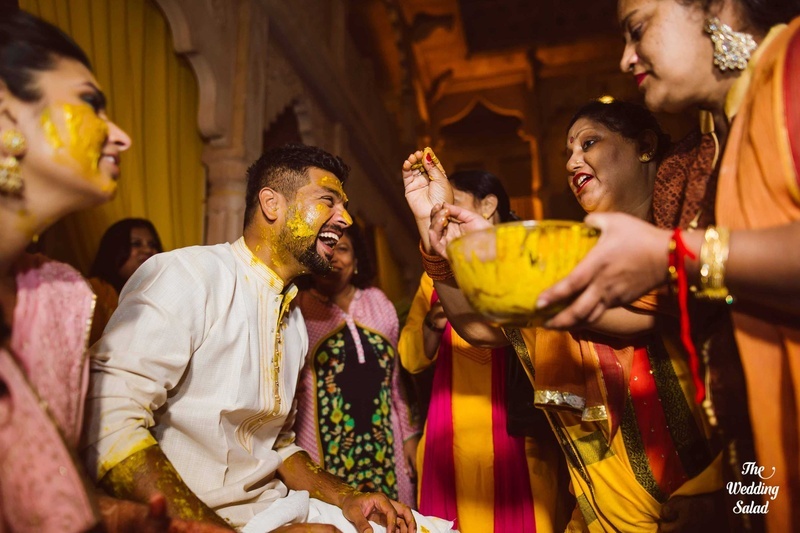 From a heavenly sangeet and engagement night to outdoor haldi and mehndi functions at ITC WelcomeHotel, Khimsar the venue provided them with the atmosphere and look that suited the couple. 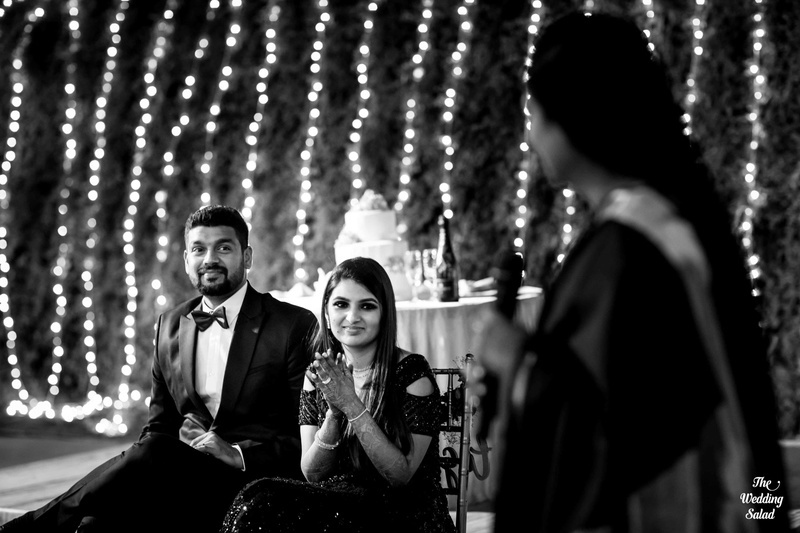 Arushi, the bride tells us, "we met 6 years ago at work and for the first 9 months we didn't talk 'cos we hated each other. 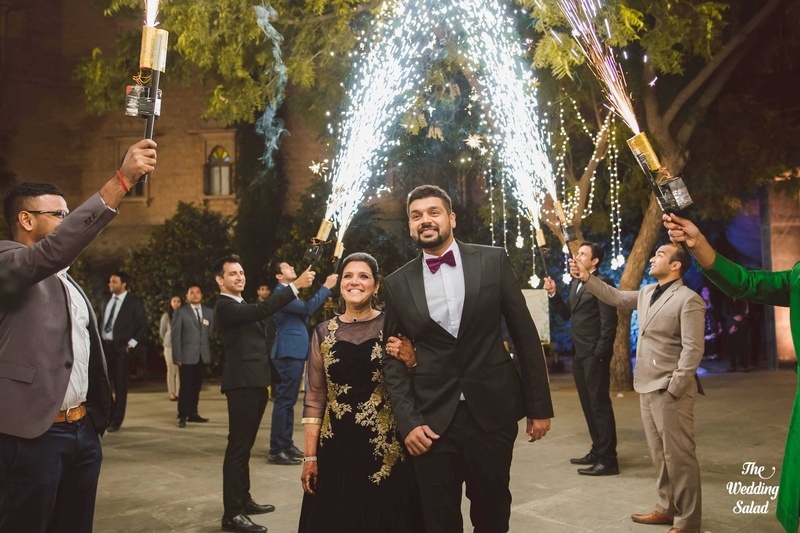 Little did we know that we'd come this far and get married in the most beautiful location ever!" 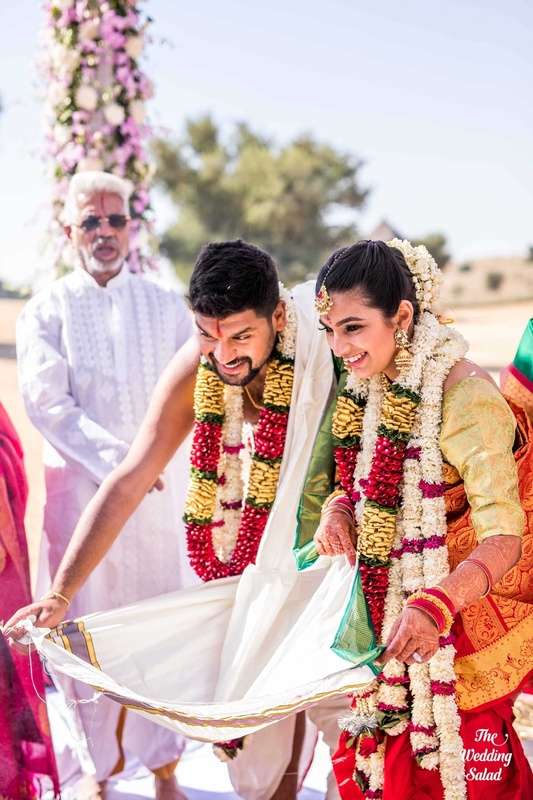 Karthik is Tamilian and Arushi is from Lucknow, making this the perfect 2 states wedding ever, with heavy influences of the south in terms of style and the north, in terms of ritual. 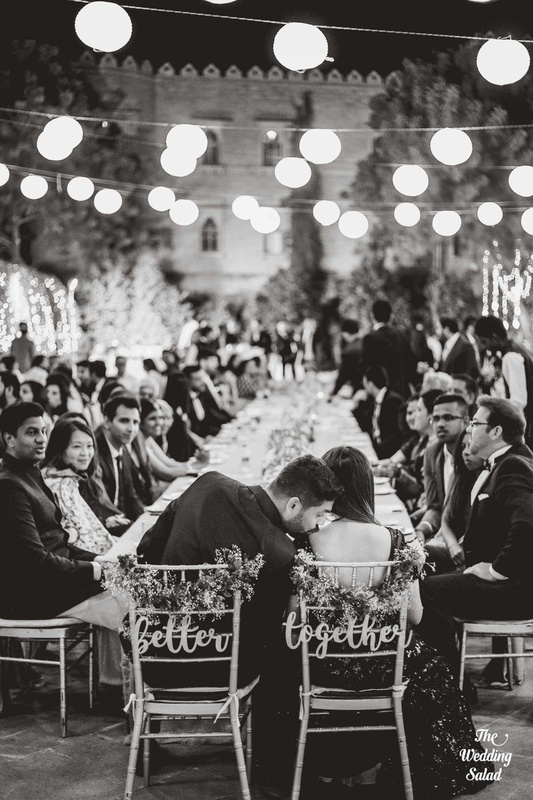 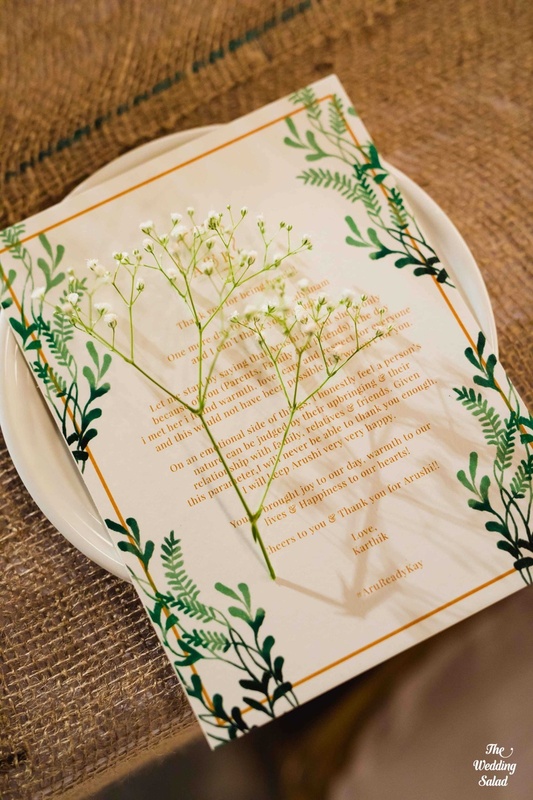 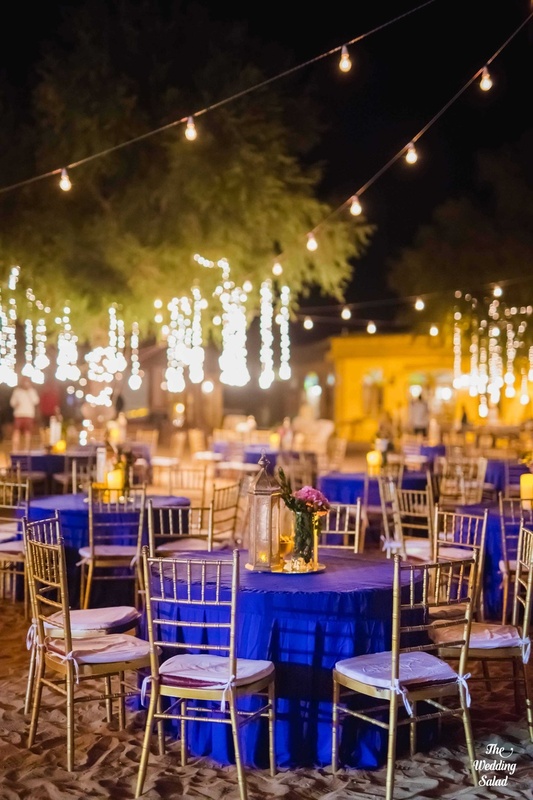 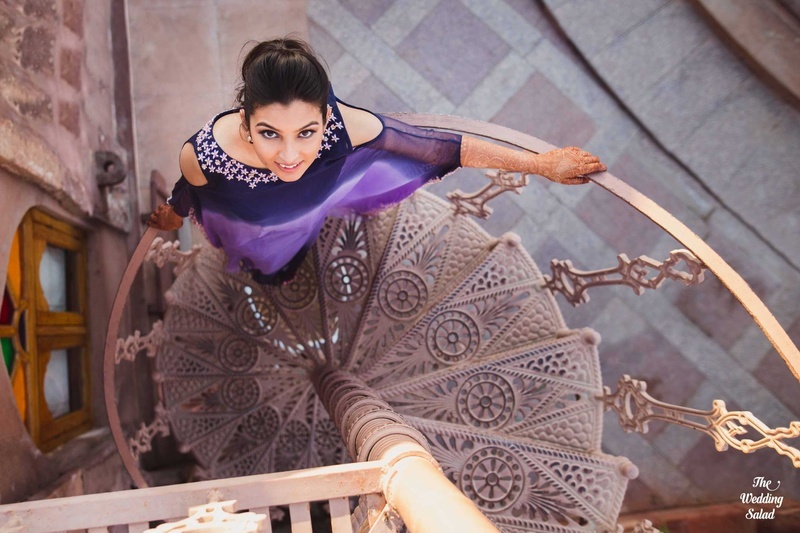 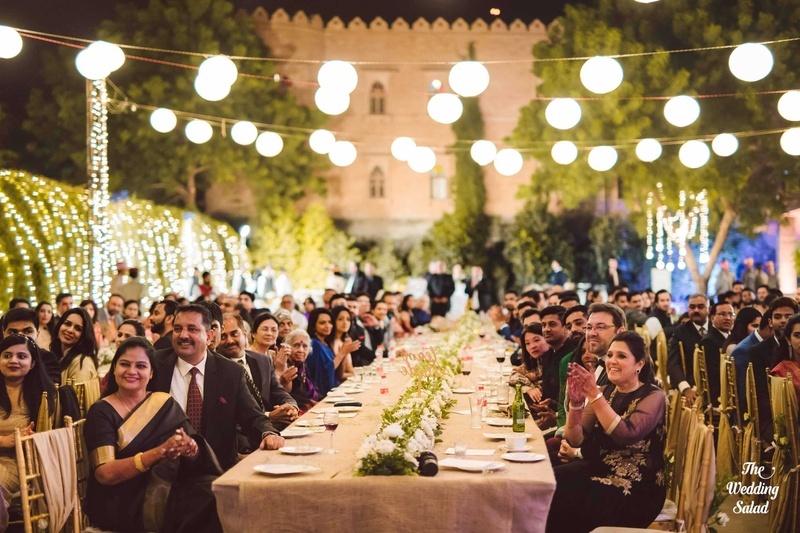 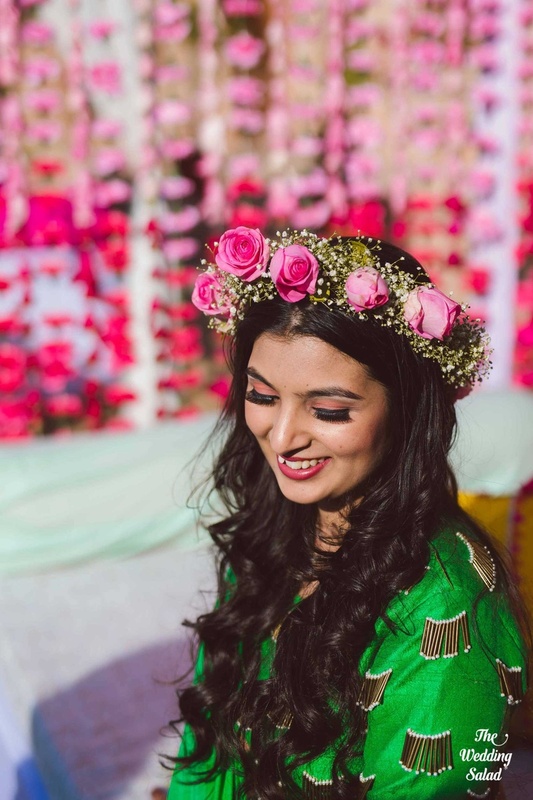 Arushi had the perfect time planning this intimate wedding, "we had a select set of guests, the people closest to us from all parts of the world. 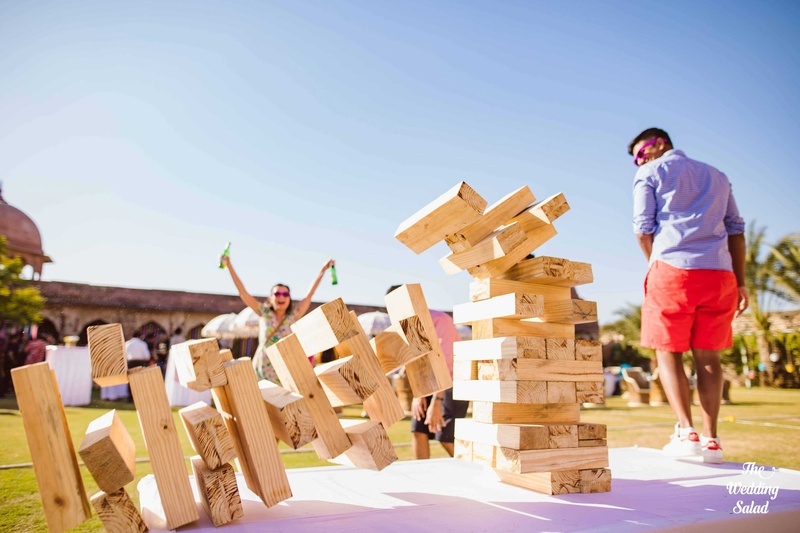 and we knew we wanted the right balance of mad fun with traditional ceremonies. 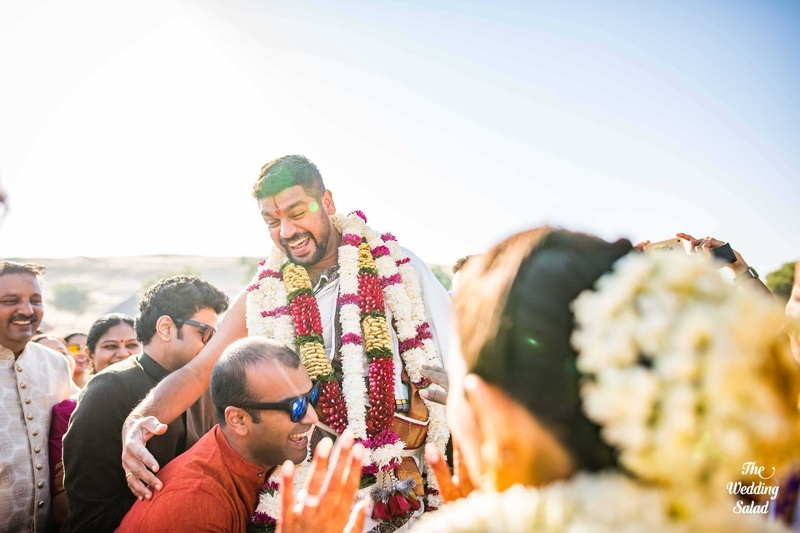 Karthik's Tamil and I am come from Lucknow so we picked the best from both worlds." 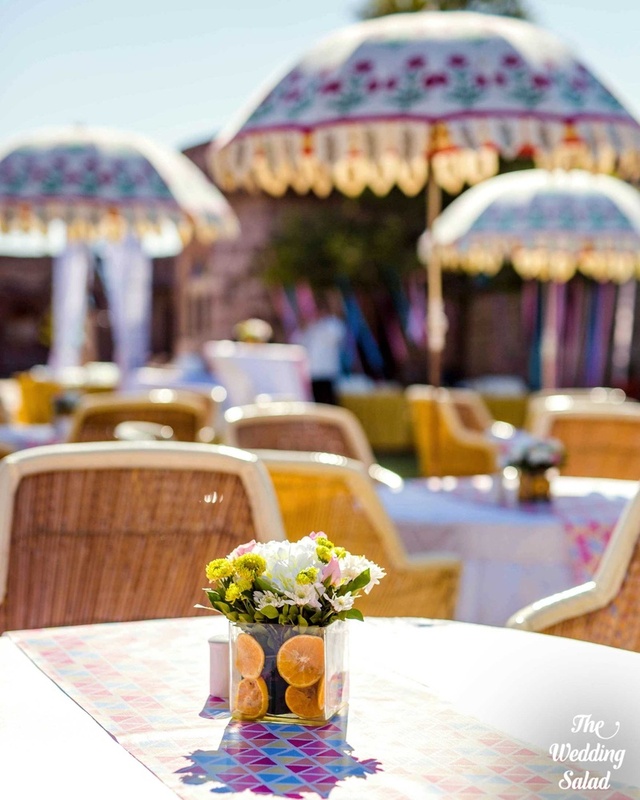 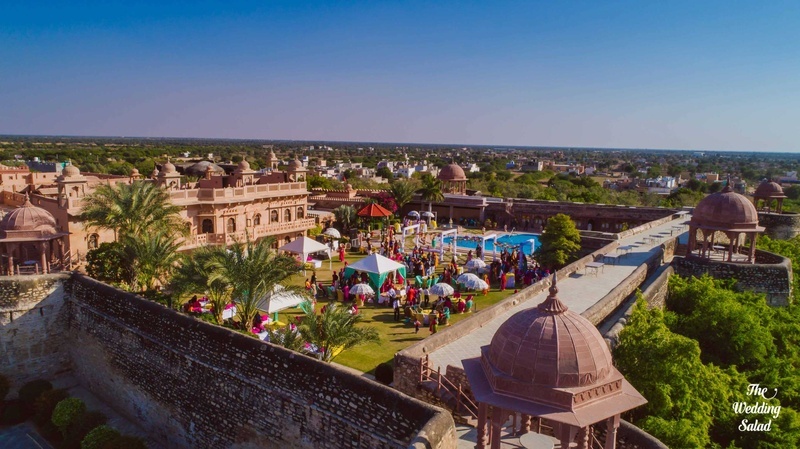 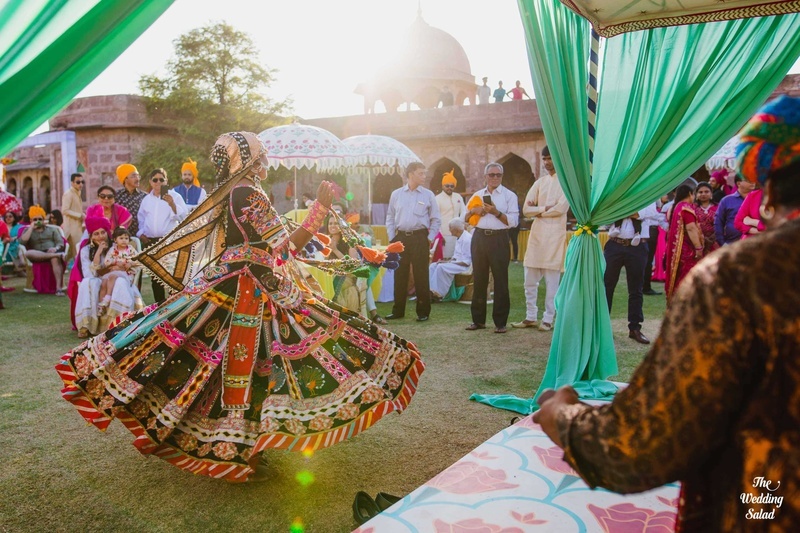 the mehndi was a mint green and pink, Rajasthani inspired one with Thandai Spheres and Pan Caviars being the perfect coolers in the Jodhpur heat. 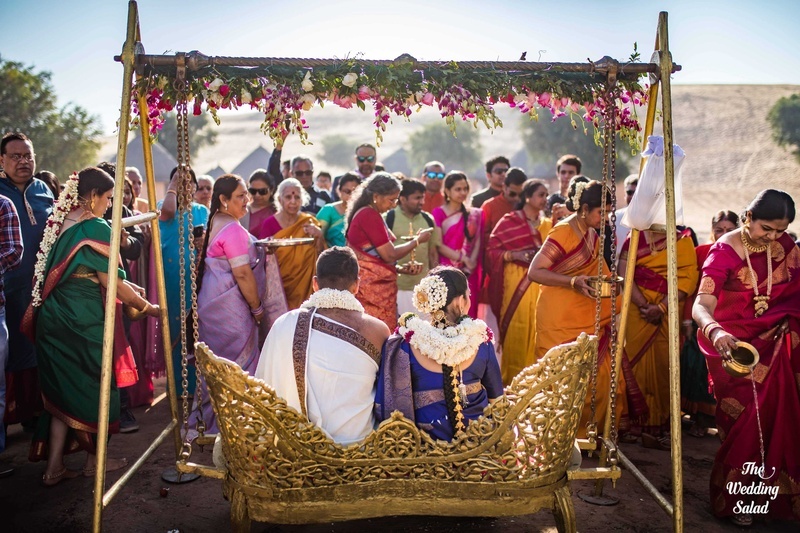 The wedding was a traditional Tamil Kalyanam in the middle of the desert followed by a Sadhya lunch. 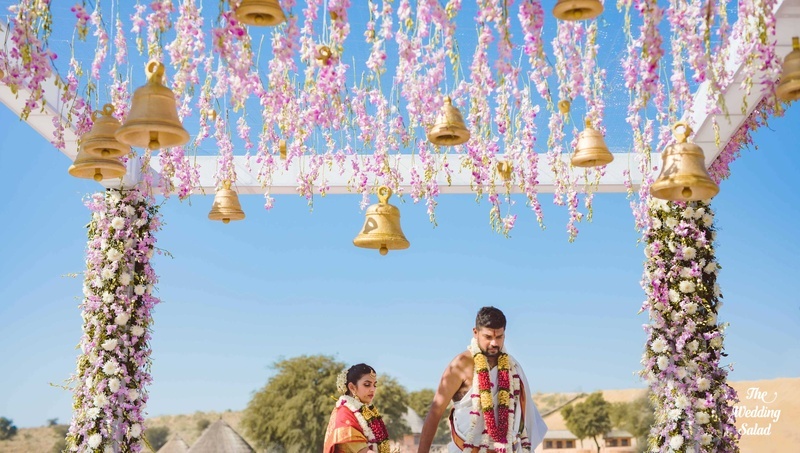 "We kept this as traditional with a minimalist mandap of hanging bells and orchids" reminisces Arushi.